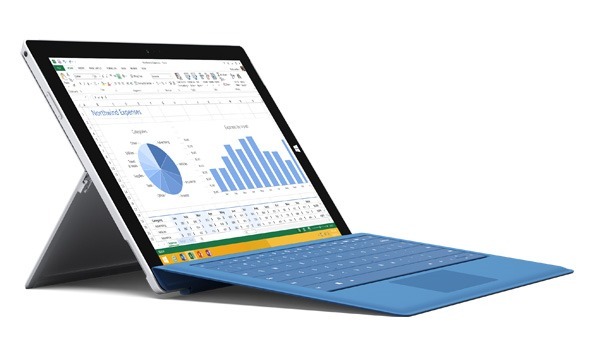 You are here: Home / General / Surface Pro 3 Sales Going Strong? 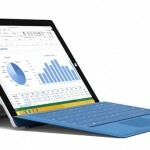 Microsoft hasn’t released official sales numbers for the Surface Pro 3, and maybe never will with any precision, and so we’re left with analyzing various other tidbits of information to determine just how well it’s doing. 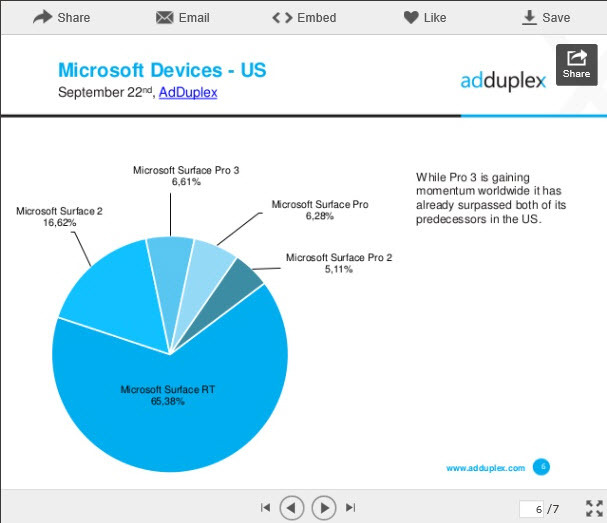 AdDuplex, provider of metrics for Windows Store apps (i.e., modern UI apps) has released its September 2014 numbers, and things seem to be going well for the Surface Pro 3. 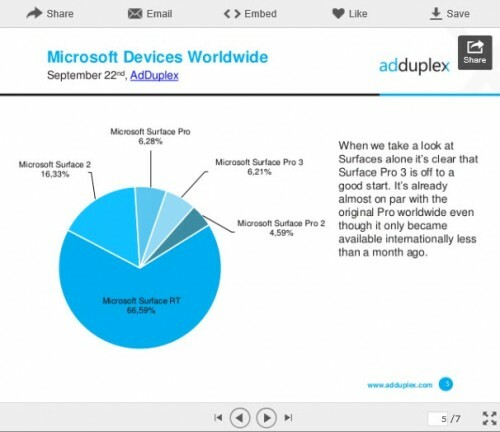 Edit: I think it makes perfect sense that Windows RT (Surface and Surface 2) make up a significant slice of the overall Windows 8 market, as far as AdDuplex data is concerned. The reason is simple: this data is pulled from modern UI apps, which other than Office 2013 are the only apps that RT devices can run. And so, RT users are likely to use modern UI apps far more than full Windows 8.1 users who enjoy access to the full range of Windows desktop apps. All of AdDuplex’s results can be found below, if you’re so inclined. Generally, these seem like very positive results to me, and I’m looking forward to Microsoft’s next earnings report for some more official news on how the Surface platform is doing.